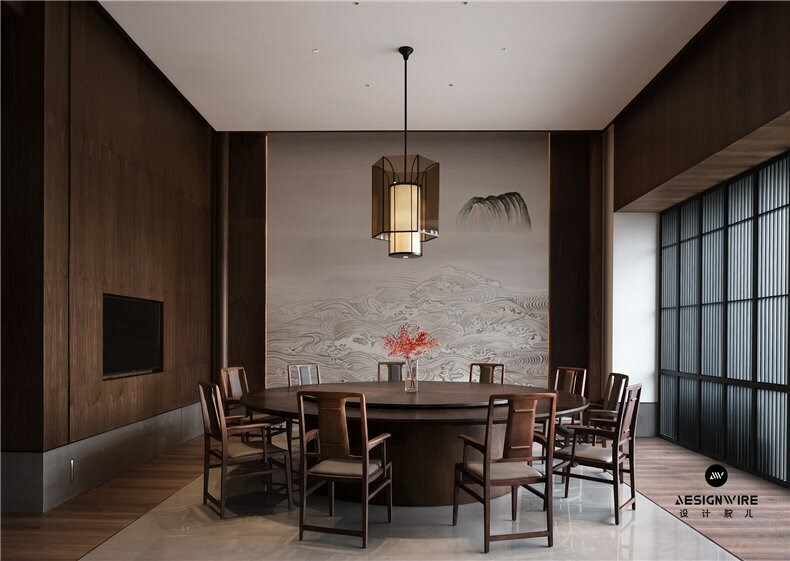 The project is an upscale restaurant serving private home-style cuisine, which is located in Shantou, China, designed by JINGU PHOENIX SPACE PLANNING ORGANIZATION. In traditional Chinese culture, pine, bamboo and plum blossom are known as " Sui Han San You (Three Friends of Winter)", because they do not wither as the cold days deepen into the winter season unlike many other plants. Coincidentally, the restaurant was set up by three friends. 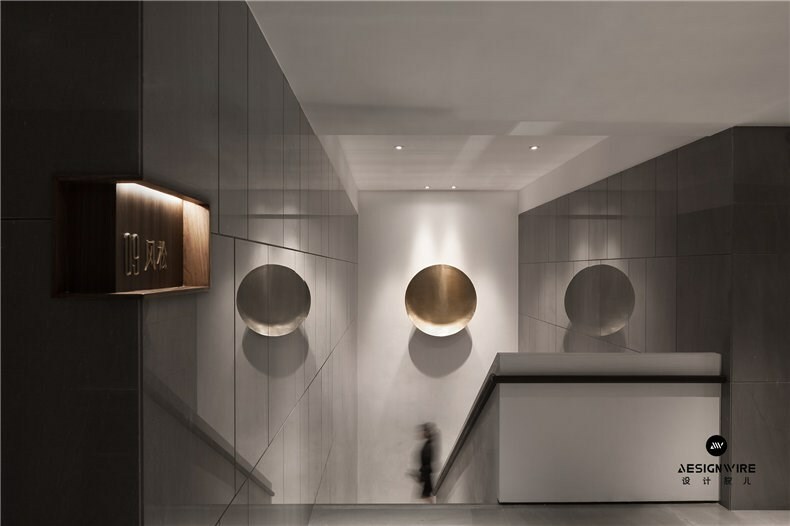 So the client choose " Sui Han San You " as the name of the restaurant, giving it an artistic charm. 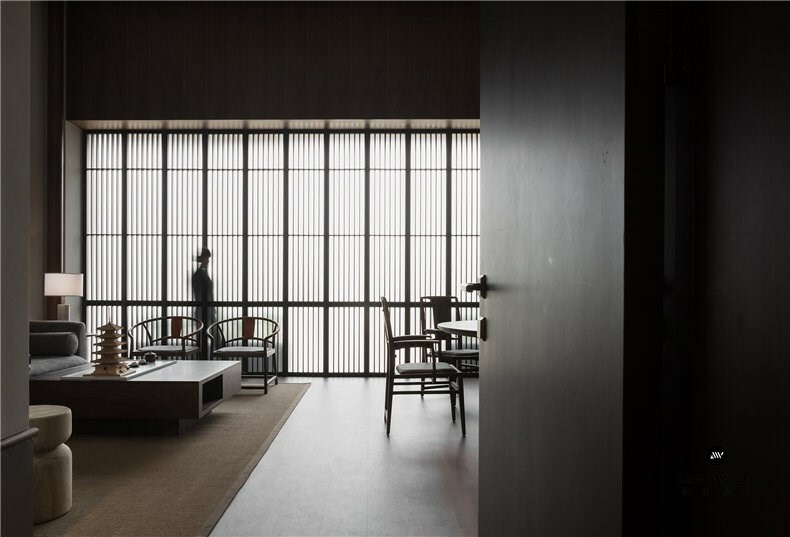 The interior design was approached based on such background. 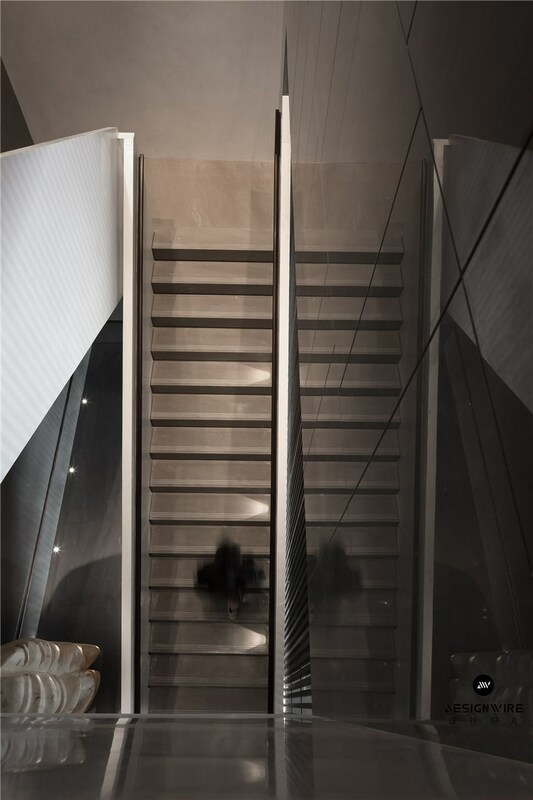 It's a two-storey space, with a high ceiling on the first floor, which is a great advantage. 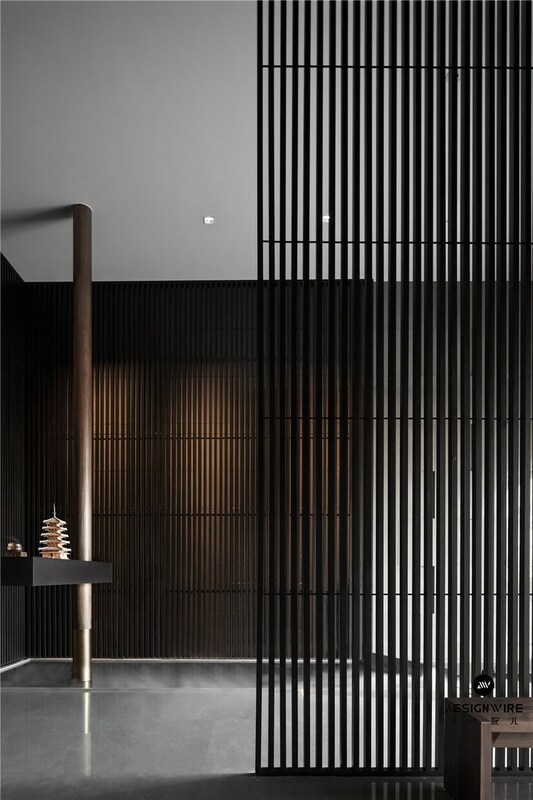 JINGU PHOENIX adopted Tang-style wooden structures, beams and columns to construct the architectural framework, and utilized austere materials to create a magnificent elegance within the space. 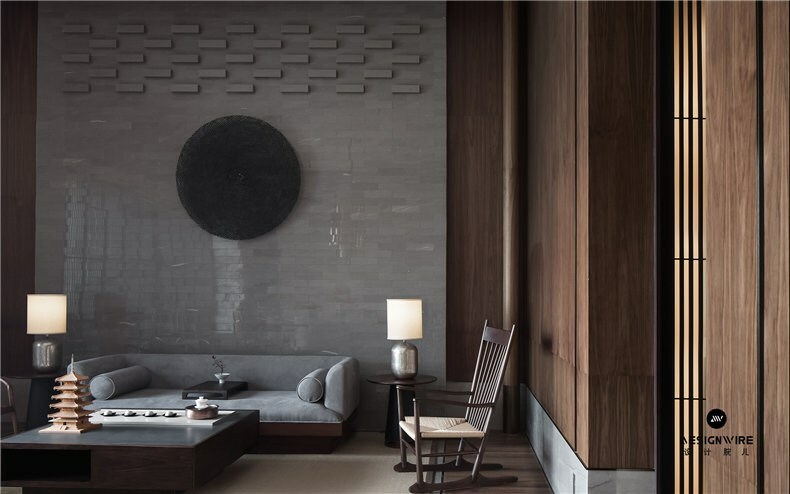 Water is a key element of traditional Chinese landscape design, which reflects the pursuit of natural interest. 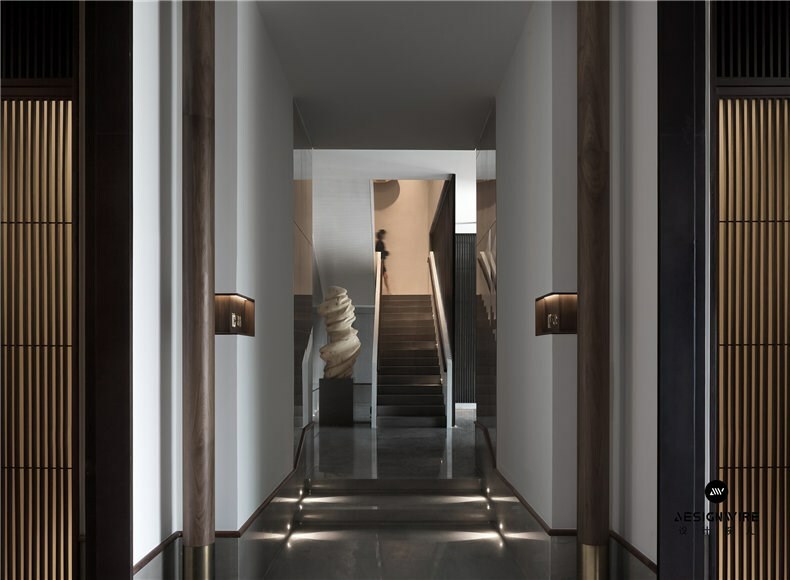 At the entrance, a long sloping corridor creates a sense of occasion. And a walnut column rises out from the waterscape, supporting the ceiling. 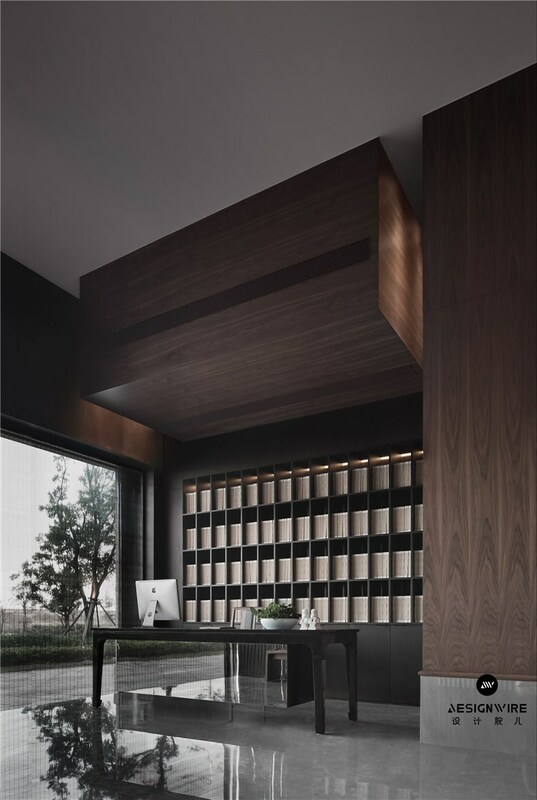 Besides, it is connected with a desk surface, together constituting a geometric shape and functioning as a reception desk in the foyer. 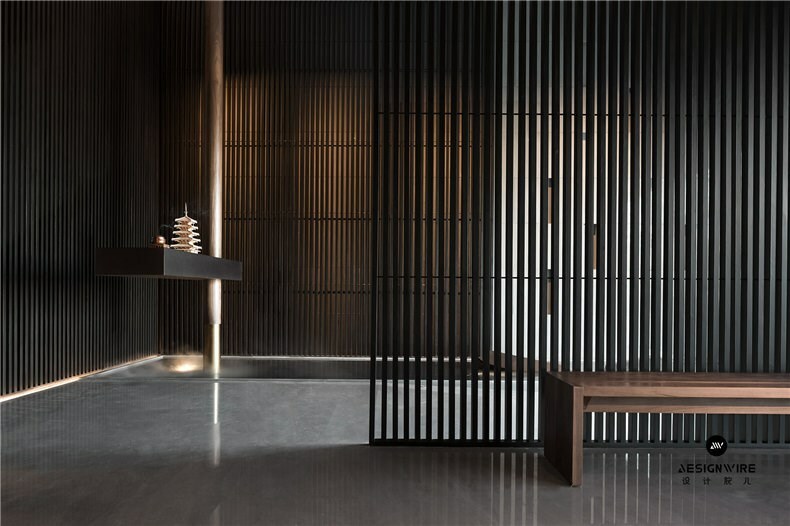 Large areas of wooden screens separate the entrance area, presenting the contrast and integration of solidness and void. 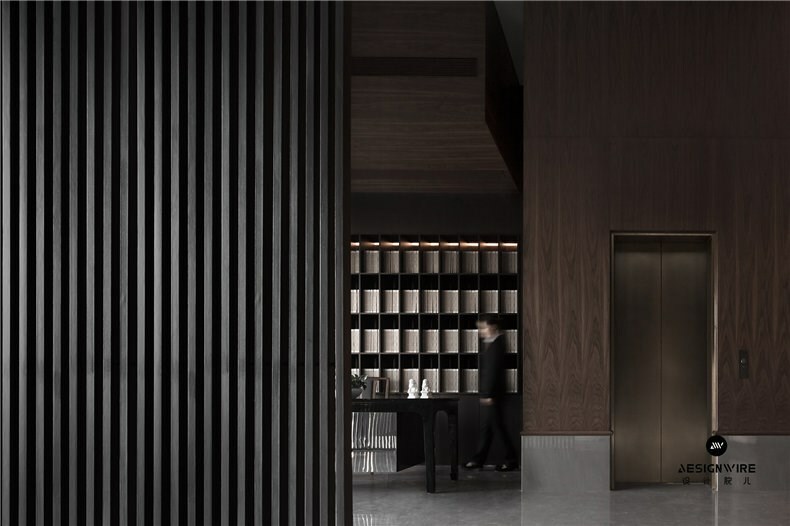 The reception area at the lobby features a combination of Tang-style writing desk and bookcase, with the fragrance of books and an artistic ambience permeating the space. 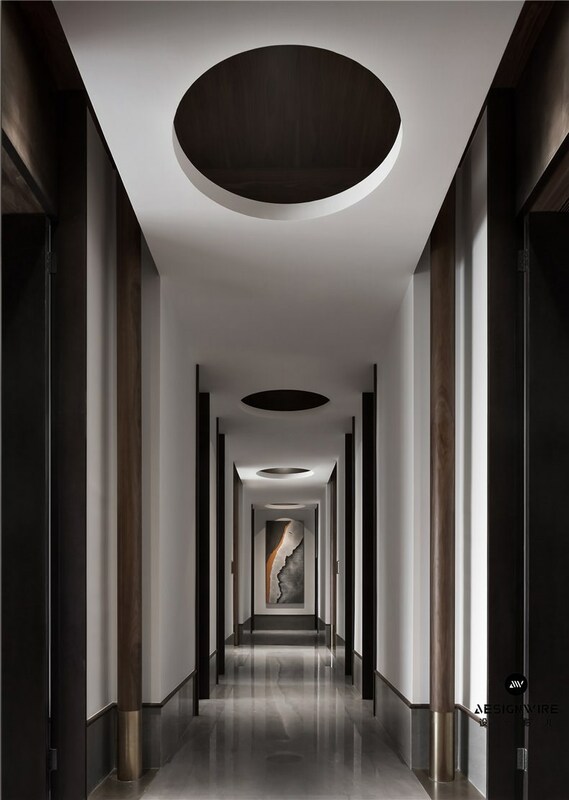 Making smart use of the height of the original space, the designers added a wooden structure to the ceiling, so as to lower the height of this area, eliminate the sense of distance from guests, and achieve the harmony and contrast of spatial proportions. Architectures in Tang dynasty are characterized by perfect integration of strength and beauty as well as balance between rigor and magnificence. 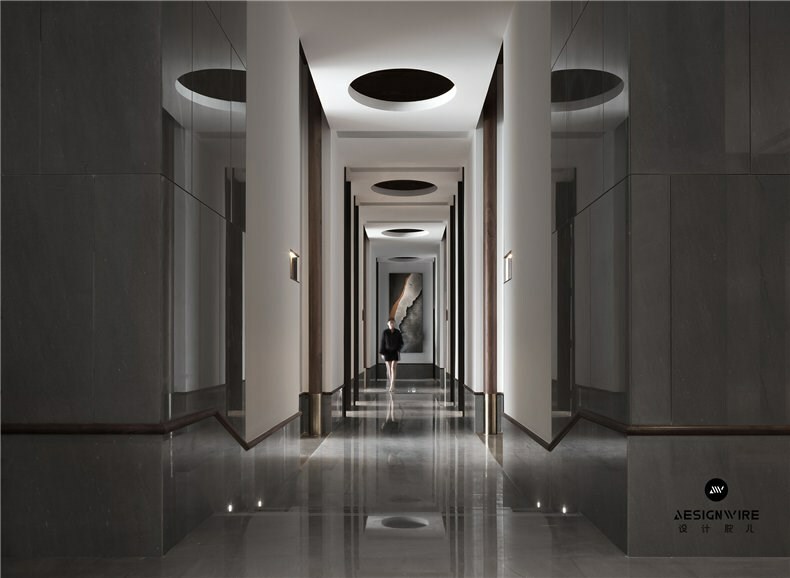 Such features were incorporated into the design of passages, where walnut columns were orderly arranged at the sides and linked to the ceiling. 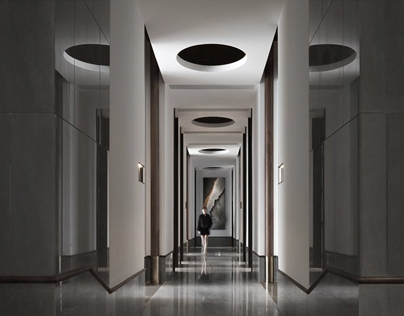 The design team adopted a minimalist style to interpret the mutual complementation between the parts and the whole. 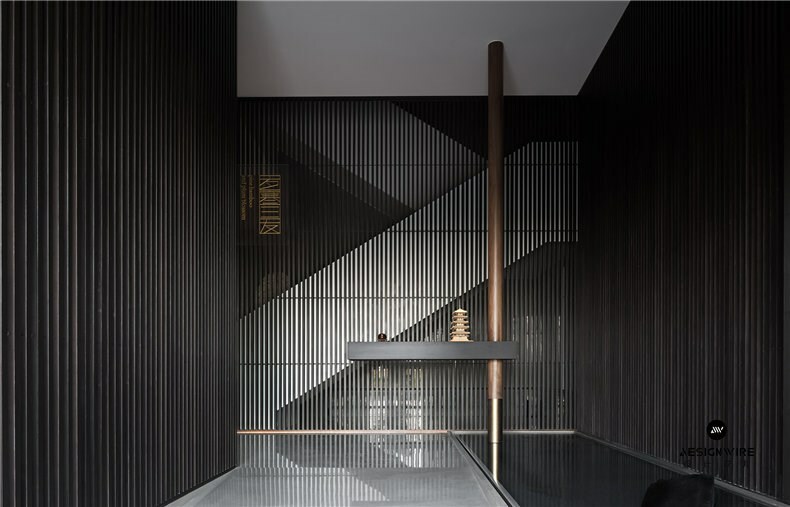 Based on a central symmetrical axis, they turned the complicated into simplistic, and used modern techniques and expressions to reshape the beauty of interior structures. 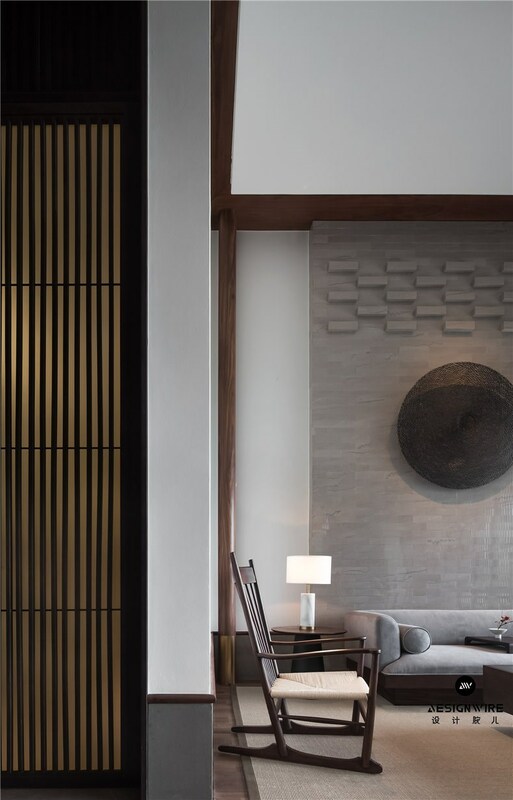 In the VIP rooms, walnut columns partly finished with brass support the architecture, and light gray stone bricks constitute the wall. 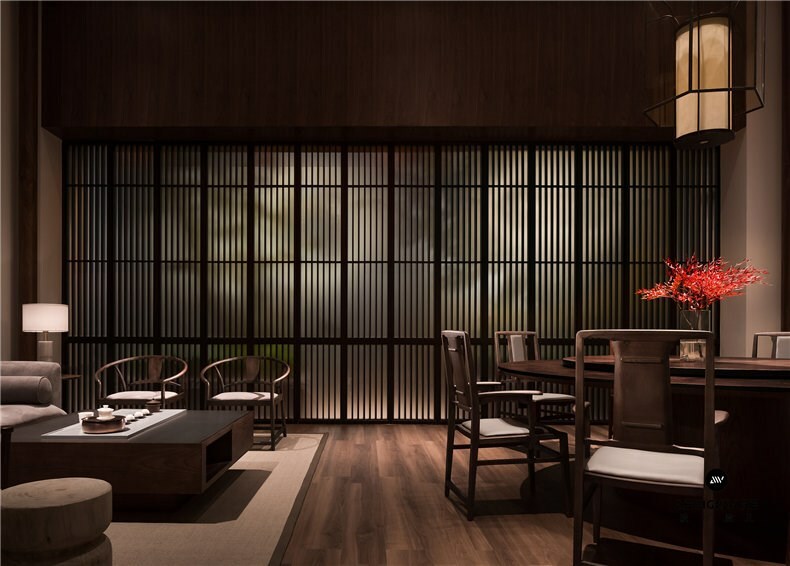 Such designs produce a tranquil, peaceful and superior dining atmosphere, which exactly interprets the essence of Tang style.